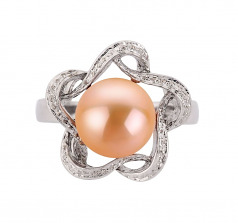 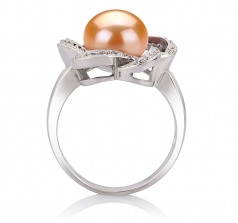 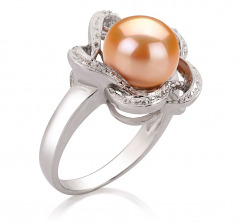 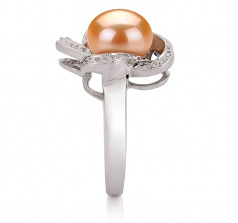 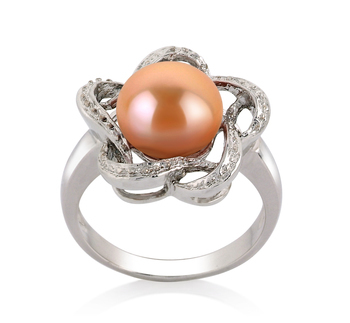 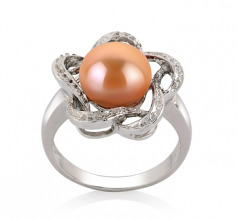 A large button shaped Pink pearl boasts its rightful position among the intertwined .925 sterling silver ring base that it so gracefully calls its home. 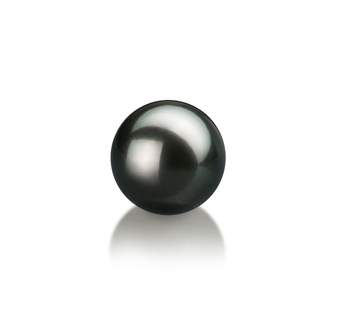 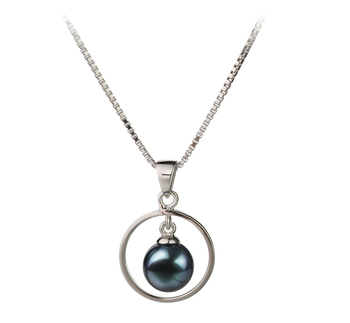 The 9-10mm pearl is clearly noticed with its bold pink colour and AAA bright and glossy finish. 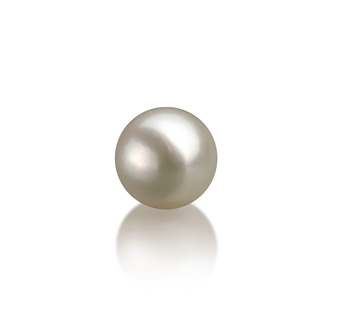 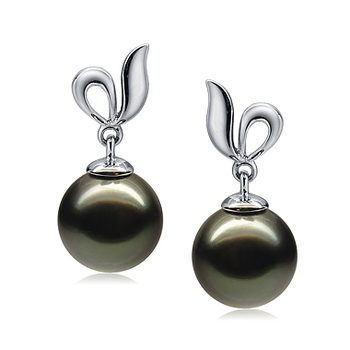 It is a pearl that commands the attention and receives the compliments. 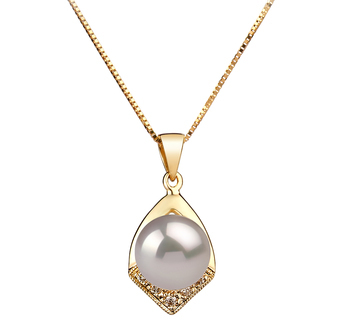 There is no hiding this one, you have picked it for the sake of being seen and noticed. 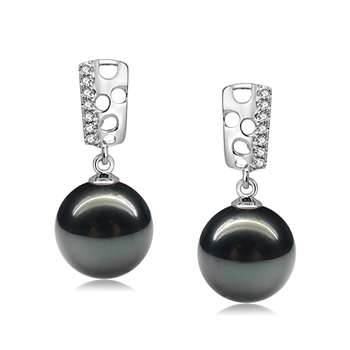 It is a masterpiece that can be seen in the business or formal atmosphere when paired with a darker hued wardrobe.